Danielle Cohen focuses her practice on construction litigation and condominium association law. She has represented a diverse range of construction clients, including owners, general contractors, subcontractors and material suppliers. 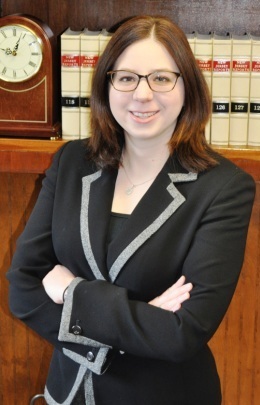 Danielle has been involved in both prosecuting and defending claims on private and public projects in New Jersey and New York, including delay claims, construction lien and mechanic’s lien foreclosure actions, defective work claims, bond claims, prompt payment act claims and trust fund issues. She has also represented condominium associations in the prosecution of construction defect claims, as well as assisted condominium associations with general condominium matters. Danielle is experienced in reviewing, drafting and negotiating construction contracts, on behalf of owners, general contractors and subcontractors. Additionally, she assists clients with various collection issues. State-by-State Analyses of Legal Issues Affecting Architects, Engineers, Contractors, and Owners, Contributing Author, State of New Jersey Treatise, Aspen Publishers, Inc.